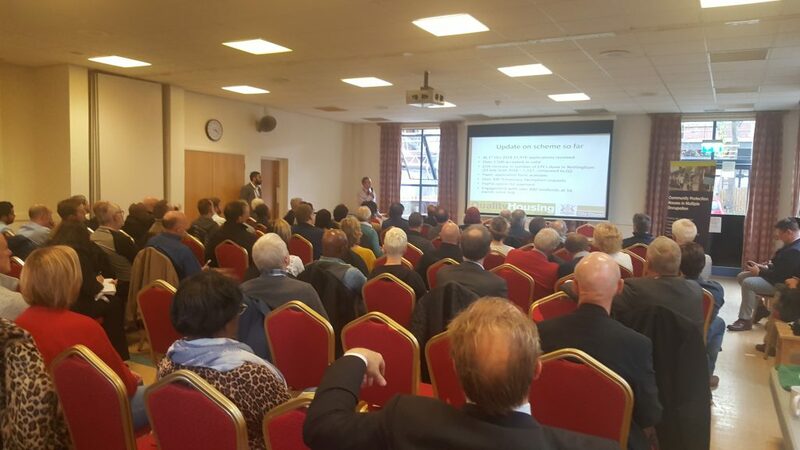 Diane Bialek, Director at NGalloway and Emily Bairstowe, ASB officer at Nottingham City Council delivered a joint presentation today at the Landlord forum organised by Waqar Mulak engagement officer for Selective Licensing. NGalloway are landlords and property managers and have really engaged landlords, tenants and the wider community in proactively managing their properties. This fresh approach has involved close working with Nottingham City Council and today we talked about how we have created positive outcomes. With the ever increasing stresses on council budgets to address the homelessness issues and increased statuary duties on councils to intervene early on when tenants are at risk of becoming homeless. NGalloway and Nottingham City Council have adopted a seriously proactive approach to managing tenancies. Diane Bialek today talked about issues that tenants worry about in the private rental sector and demonstrated that these are the same issues landlords worry about but that they experience it from a different angle. Emily Bairstowe, ASB officer talked about the multi-agency approach in one of our case studies and how she helped to create an action plan from a joint investigation and visit to the tenant which subsequently saved the tenancy. This prevented the family becoming homeless. When a tenant makes themselves intentionally homeless they are not eligible for social or council housing. NGalloway have found the misuse of S21 notices rampant in the industry and will be writing about this later. At NGalloway in the context of selective licensing we encourage joint working to address and support these issues so that better outcomes are achieved for the council, the landlords, tenants, neighbours and the wider community. It can’t be underestimated the value that this joint working can achieve for everyone and NGalloway are thankful that Nottingham City Council are working with us to address these issues. Things are not perfect and we have a long way to go to address some serious issues but there is light at the end of the tunnel and our experience is that this council are listening and committed to working with the private rental sector. At NGalloway we can help with your landlord licensing and have developed a range of services with landlords, tenants and property managers in mind. We are now offering other agents our services where they have problems and issues that need a multi-agency approach. If you have an issue that you need to discuss call Terry Galloway on 07838317574. We can register your Selective Licence for £75 or a HMO for £100 directly with the council. If we are managing your property then we don’t charge to register your licence. The Nottingham Selective Licensing Scheme started on 1st August 2018 and the Gedling Borough Council scheme on 1st October 2018. If you are a landlord and you have not registered for a licence with the council then we can help you. Call us now on 01156972829 or send us your contact details here www.ngalloway.co.uk/register or email us contact@ngalloway.co.uk for a completely confidential discussion.